There is a word, hiraeth, which explains "a homesickness for a home to which you cannot return, a home which maybe never was; the nostalgia, the yearning, the grief for the lost places of your past." I was eight-years-old the first time I visited Hogwarts School of Witchcraft and Wizardry. I read Harry Potter and the Sorcerer's Stone with my mom and we both fell in love with that boy wizard. 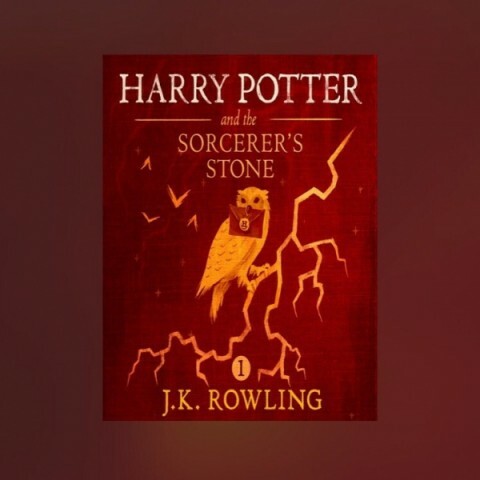 And now as I write this post, I feel a sense of hiraeth, the audiobook playing through my headphones as I reflect back on time, and the Harry Potter Generation. 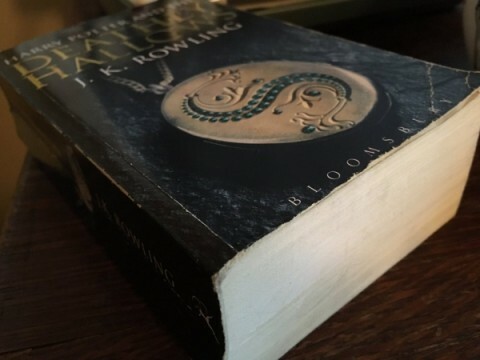 For those of us who've grown up in this Harry Potter Generation, I think we all have tried to reclaim the magic we felt the first time we read this series. And I can definitely mark moments in my life by which book I was reading at the time: the first book in third grade, reading Harry Potter and the Goblet of Fire in fifth grade while other students were just beginning to read chapter books, Harry Potter and the Order of the Phoenix and the year I understood Harry's bullies, and my own, reading Harry Potter and the Deathly Hallows in one sitting, and then rereading it in England from a British edition I purchased in London! I love these memories, and I love these books. 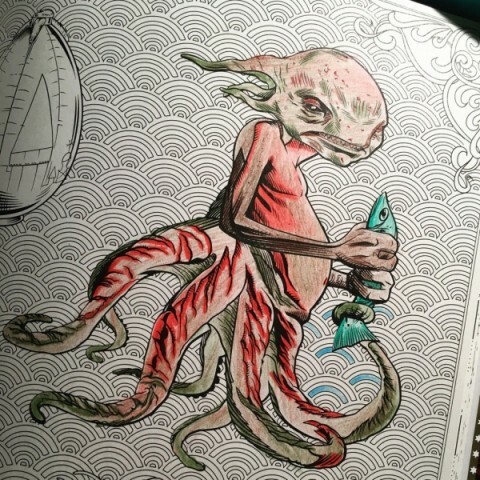 On May 2, 2016, I thought more and more about the pensieve, about what I would see if I submerged myself in my own memories. 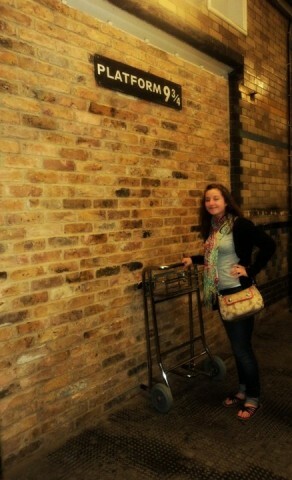 Would I see myself back at King's Cross station and the REAL Platform 9/34? Would I remember the first conversation with a now dear friend about acceptance letters and book Ginny vs. movie Ginny? Would I see the darkened sky above Hogwarts at The Wizarding World of Harry Potter my first time there? I suppose it's hard to choose one Harry Potter memory because so much of my life has been shaped by this series. I know this Harry Potter Generation has thanked J.K. Rowling for their childhood, but I would thank her for more than that, because even after all this time, my life is still magical! Some of my favorite moments from 2016 have been Harry Potter related, helping me slip back into those nostalgic days of my past. This year I received Harry Potter Trivial Pursuit and a Triwizard Tournament between myself and three other Potterheads ensued, and it was way too competitive, but also too much fun! And this same group also took on a discussion about the Sorting Hat and Hogwarts houses, and despite the fact that we are all past the point of childhood, we still like to slip into that nostalgia whenever we're together! 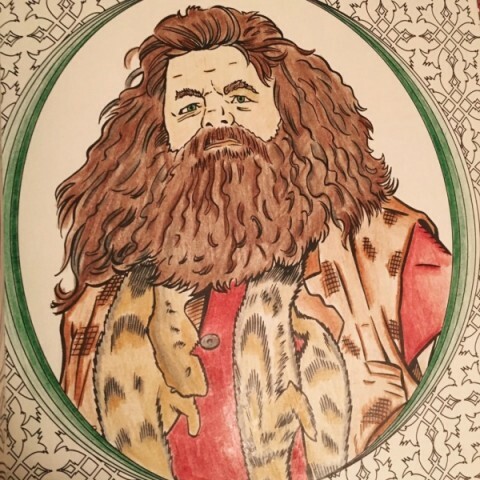 Of course the past year has given us an illustrated edition of Harry Potter and the Sorcerer's Stone, and Harry Potter coloring books. When Hedwig's Theme plays at the very end I felt like I was eight-years-old all over again! 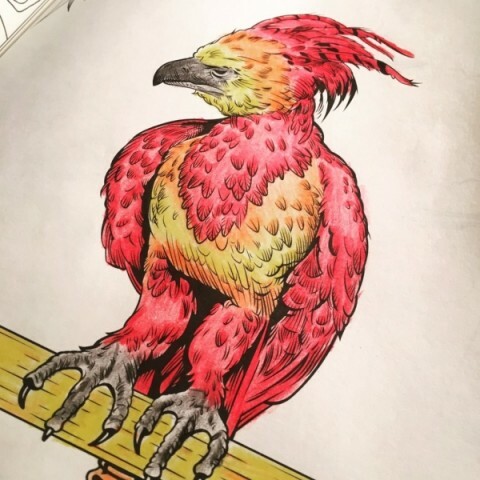 And even if you can't make it to London for the opening of Harry Potter and the Cursed Child, this extra-special-almost-an-eighth-Harry Potter book will be published July 31st! 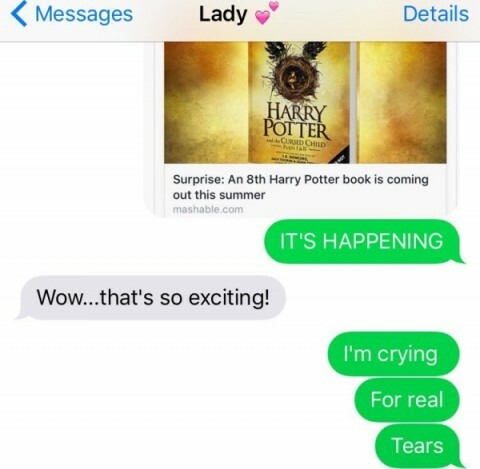 And yes, this is a REAL conversation between myself and my mom, in which I did cry REAL tears at the news of Harry Potter and the Cursed Child. While I know I can never go back to that first time reading Harry Potter and the Sorcerer's Stone, that will not stop me from returning to Hogwarts. 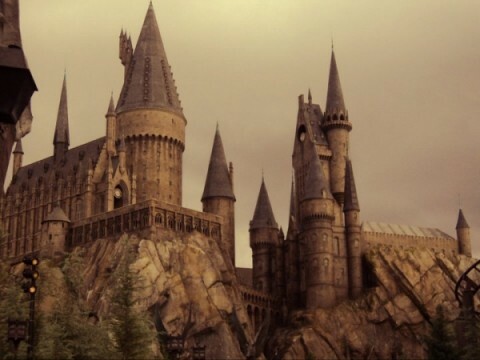 After all, J.K. Rowling said, "Hogwarts will always be there to welcome you home." As we slip into summer I will remember all those times reading these beloved books on the back patio, and will find new ways to enjoy this series! I will continue to sort friends and family into Hogwarts houses, and will capture them in my iPhone contacts as Harry Potter characters. 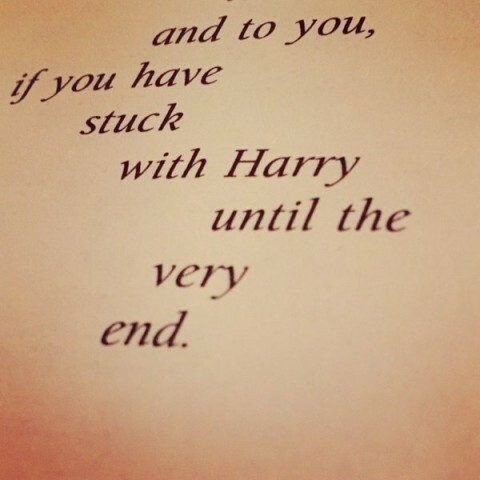 And when asked if I still love Harry Potter after all this time I will say "always" and "until the very end." Thank you, J.K. Rowling, for giving us the ability to imagine, the knowledge that there is power in friendship and love, a basic understanding of Latin and nostalgia, and the courage to be better.